These fabrics allow the diffused sunlight stream into your indoor and give you the proper illumination for your study rooms, living rooms and even in bedrooms too. 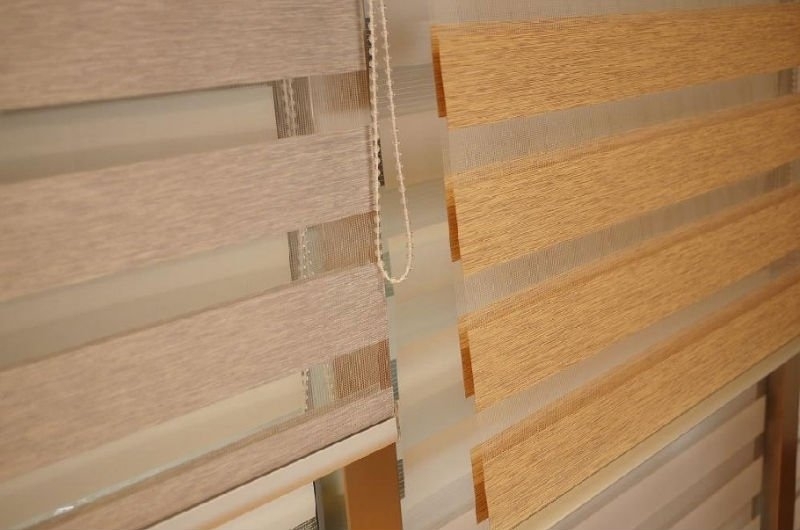 The Zebra sheer shades have the unique design of the light filtering/room darkening fabrics and sheer fabrics on same fabric panels alternatively. These shades are manufactured with the dual layer of fabrics in an alternative manner to ensure overlapping of sheer with light filtering part or the room darkening part of the materials. This Zebra Sheer Shades gives a sleek and contemporary look for your indoor decor.